Magal, Israel, December 7, 2018 – MinInvasive Ltd., developer of the OmniCuff™ device for treatment of rotator cuff repair, reported positive progress following its initial two months of limited market release activity in the US with 26 OmniCuff™ System cases successfully concluded to date. Shoulder rotator cuff repair is a fast-growing market segment within the sports medicine market, with over one million procedures performed annually worldwide. 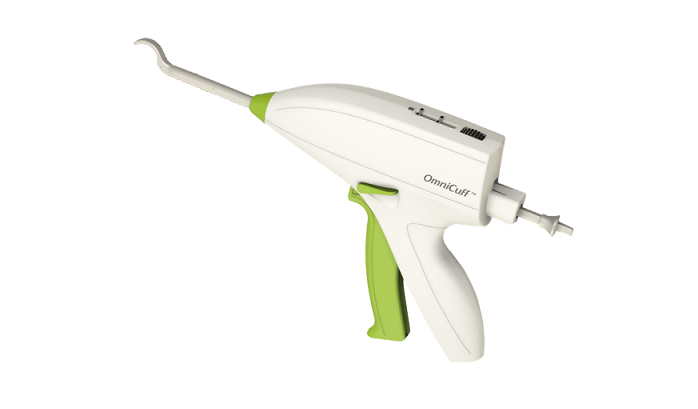 The OmniCuff™ System is an arthroscopic transosseous rotator cuff repair device that eliminates the need for suture anchors. The device provides the advantages of minimally invasive transosseous repair in a disposable device. MinInvasive CEO Ronen Raz stated, “We are very pleased that within the first 8 weeks of limited US market release, the OmniCuff™ System has been successfully used by several very reputable sports medicine surgeons in 26 rotator cuff repair procedures”. Frank Cordasco, MD, MS, Professor of Orthopaedic Surgery at the Hospital for Special Surgery and the 35th President of the American Shoulder and Elbow Surgeons has observed “remarkably diminished pain in the post-operative period in patients treated with the OmniCuff System compared to those treated with the transosseous equivalent rotator cuff repair technique during the first 3 weeks following surgery. This has resulted in a decreased need for Opioid medications in the patients treated with the OmniCuff System”. MinInvasive plans to gradually expand the availability of the device in the US and is currently in the process of securing CFDA approval for OmniCuff™ in China, another huge potential market for innovative medical technologies. MinInvasive has developed the OmniCuff™ System – an innovative device enabling arthroscopic, transosseous rotator cuff repair. In 2016, MinInvasive entered into a strategic partnership with MicroPort Scientific Corporation to obtain CFDA approval for the OmniCuff™ system. 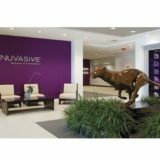 MinInvasive has validated manufacturing of its new OmniCuff™ disposable version and initiated a limited market release in early October in the US. NEW YORK and KFAR SABA, Israel, Nov. 12, 2018 /PRNewswire/ — CartiHeal, developer of Agili-C, a proprietary implant for the treatment of joint surface lesions, announced today the successful enrollment of the first patient in the Agili-C Investigational Device Exemption (IDE) pivotal study on the East Coast. The surgery was performed by site Principal Investigator Eric J. Strauss, MD, an orthopedic surgeon at NYU Langone Health’s Sports Medicine Center in New York City. NYU Langoprnewne is one of 15 U.S. sites in the new Food and Drug Administration (FDA) IDE trial and will enroll 20 patients with major knee cartilage injuries. The first patient enrolled at NYU Langone was a 53 year-old female with a history of two failed surgeries on her left knee, who had a very symptomatic cartilage lesion, with significant bone marrow edema affecting her lateral femoral condyle. “The patient was randomized to the Agili-C arm and treated with a single implant in a procedure that went smoothly and led to an immediate increase in blood flow to the affected region,” according to Dr. Strauss. Nir Altschuler, CartiHeal’s founder & CEO said: “Enrolling the first US East Coast patient is an important milestone for our study. 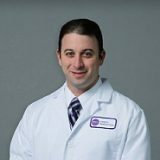 We are honored that this important case was performed in the good hands of Dr. Eric Strauss, and look forward to his research team continuing to enroll patients.” Altschuler also added that the IDE study, with over 100 enrolled patients, is currently ongoing in the US, EU and Israel, and aiming for an FDA premarket approval application. 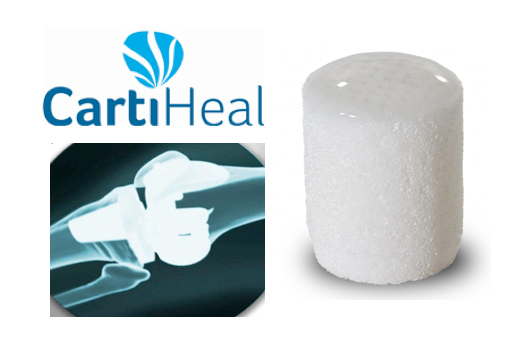 CartiHeal’s cell-free, off-the-shelf implant is CE marked for use in cartilage and osteochondral defects. Agili-C has been implanted in over 400 patients with cartilage lesions in the knee, ankle and great toe in a series of trials conducted in leading centers in Europe and Israel. In these trials, the implant was used to treat a broad spectrum of cartilage lesions, from single focal lesions to multiple and large defects in patients suffering from osteoarthritis. In the United States, the Agili-C implant is not available for sale – it is an investigational device limited for use in the IDE study. VISTA, Calif.–(BUSINESS WIRE)–DJO®, a leading provider of medical technologies designed to get and keep people moving, announced the partnership with SirenMD, becoming the exclusive sales representative for SirenMD’s sports team market. 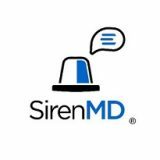 SirenMD is a workplace collaboration platform designed to increase the quality, efficiency, and timeliness of medical decisions by facilitating coordinated communication between caregivers and patient advocates. SirenMD aggregates injury data and provides redacted and confidential injury reports to the conference and member institutions. The platform will use its internal case data for specific injuries for a given set of teams. Injury patterns and frequency can be identified for all body parts, including: shoulder dislocations, knee ligament tears, and ankle sprains. The new partnership begins immediately. Please contact Brian Moore (DJO) or Andrew Willert (SirenMD) for more information. DJO is a leading global developer, manufacturer and distributor of high-quality medical devices that provide solutions for musculoskeletal health, vascular health and pain management. The Company’s products address the continuum of patient care from injury prevention to rehabilitation after surgery, injury or from degenerative disease, enabling people to regain or maintain their natural motion. Its products are used by orthopedic specialists, spine surgeons, primary care physicians, pain management specialists, physical therapists, podiatrists, chiropractors, athletic trainers and other healthcare professionals. In addition, many of the Company’s medical devices and related accessories are used by athletes and patients for injury prevention and at-home physical therapy treatment. The Company’s product lines include rigid and soft orthopedic bracing, hot and cold therapy, bone growth stimulators, vascular therapy systems and compression garments, therapeutic shoes and inserts, electrical stimulators used for pain management and physical therapy products. The Company’s surgical division offers a comprehensive suite of reconstructive joint products for the hip, knee and shoulder. DJO Global’s products are marketed under a portfolio of brands including Aircast®, Chattanooga®, CMF™, Compex®, DonJoy®, ProCare®, DJO Surgical®, Dr. Comfort® and Exos®. Visit www.djoglobal.com. SirenMD is a workplace collaboration platform designed to increase the quality, efficiency, and documentation of medical decisions. The platform allows medical professionals (such as physicians, athletic trainers, and physical therapists) in a variety of specialties to better coordinate and document critical interactions related to patient health. SirenMD envisions a world where caregivers at all levels are able to connect and collaborate quickly and securely. Such coordination allows for faster decision-making, fewer headaches, and, ultimately, better care. Founded by physicians, and led by healthcare and technology experts, SirenMD’s team is focused on delivering valuable clinical workflow tools to all healthcare teams. Visit www.sirenmd.com. Individual results may vary. Neither DJO Global, Inc. nor any of its subsidiaries dispense medical advice. The contents of this document do not constitute medical, legal, or any other type of professional advice. Rather, please consult your healthcare professional for information on the courses of treatment, if any, which may be appropriate for you. The opinions and experiences presented here are for informational purposes only. 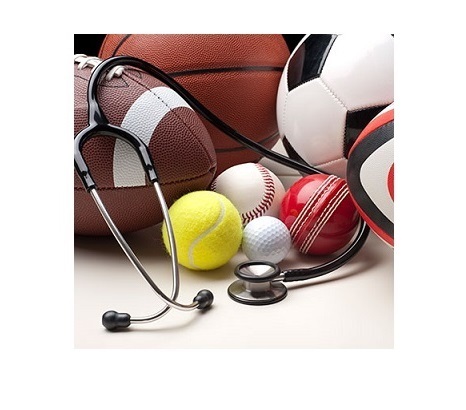 According to the latest study published by AnalystView Market Insights, by the end of 2025, global sports medicine market is expected to reach USD 11.98 billion with the CAGR of 7.5%. Sports medicine includes the medicines that can be used for treatment and prevention of injuries related to the exercise and sports. Sports medicine is a broad team that involves kinesiologists, physiologists, athlete trainers, physical therapists, physical educators, and many others. The market for sports medicine is primarily driven by the rise in a number of sports injuries across the globe. According to the National Ski Areas Association (NSAA), around 56,714 people were injured while participating in the winter sports that required immediate attention. Winter sports included sports like snowboarding, snowmobiling, and ice skating. The main objective of introducing sports medicine is to prevent and treat injuries caused to the participants while performing the sports activities. Thereby, a steady introduction of new treatment modalities and products is expected to surge in demand for sports medicine. This, in turn, is expected to drive the market growth. In addition to this, constant developments in regenerative medicine field are expected. This will establish a healthy platform for market growth during the forecast period in this sector. It is also noticed that many multinational companies are planning to increase their investment in the development of 3D printed orthopedic implants which support the market growth to great extent. For instance, in January 2017, Sweden based OssDsign AB received US FDA approval of 3D Printed Cranial Implant Technology to commercialize the product in the U.S. market. This introduction is a definite approval as regards the products in this market arena. For instance, a product for cranial bone reconstruction will provide a healthy platform for future market growth. 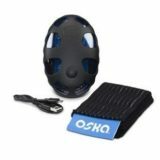 This product segment is divided into Body Monitoring, Body Reconstruction, Body Support, as well as the Sports Accessories. Body reconstruction and support devices collectively captured more than 50% share of the global market. High usage coupled with technological advancement has supported the market growth of these segments. Body monitoring segment is categorized as Cardiac, Hemodynamic, Musculoskeletal, and others. Body Reconstruction is further divided into Surgical equipment, Soft tissue repair, and Bone reconstruction devices. Body support device category is classified into various products like Braces devices, Compression clothing, and Hot & cold therapy. Hot and cold therapy is mainly used to control swelling. 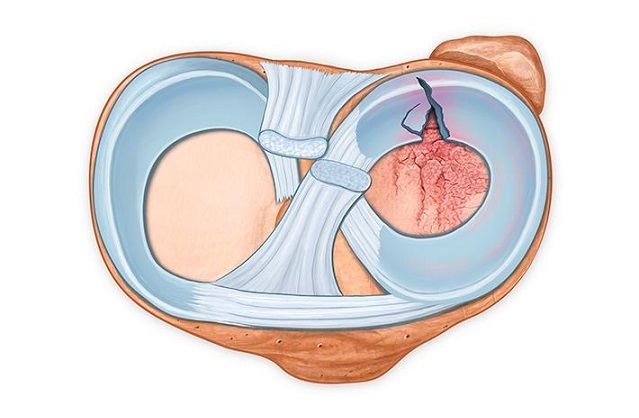 It also helps in dilating the blood vessels which supply ample blood to the site providing a stimulus to the process of healing the damaged tissue. Accessories in this category include bandages, tapes, disinfectants, wraps, along with other instruments such as scissors, cutters, blister packs, etc. Bandages have dominated accessories segment in the year 2016. A sharp increase in incidents of injuries is observed. Thus, infection preventing product range is anticipated to contribute to the growth of this segment. Sports medicine market involving the application segment is categorized as Knees, Shoulders, Back & Spine, Hips, and Others. Knee devices accounted for the largest share of the global market in the year 2016. This segment is anticipated to maintain its leading position with a rising volume of knee surgeries. Regionally, the market is categorized as North America, Europe, Asia Pacific, and Rest of the World. Around 49.36% share of the global market revenue is captured by North American countries, dominated by the U.S. market. Increase in a number of orthopedic procedures is anticipated owing to the high prevalence of accidents caused during a physical activity. This has supported the sports medicine market growth in this region. For instance, according to the CDC, around 51.4 million orthopedic procedures were performed in the U.S. in the year 2015. The highest prevalence of orthopedic conditions coupled with the high adoption of advanced treatment procedures is fuelling the growth of the market in the U.S.
Asia Pacific region is seen as a promising market growing at 9.1% growth rate over the forecast period. Countries such as India, Japan, and China exhibit their great potential to capture significant revenue share of the total Asia Pacific market. 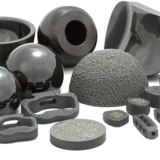 For example, Japan has the presence of a large number of implant manufacturers in this segment. The country has higher healthcare expenditure as compared to the other countries in the region. Moreover, the high adoption rate of the new technology and presence of various accident-prone individual sports in the region are expected to fuel the growth of the sports medicine market. Companies such as Medtronic, Smith & Nephew, Stryker, Conmed, Wright Medical Technology, and others are present in this market. Company merger & acquisition strategies are being utilized for expanding their geographic presence. It is important to note that Mergers and acquisitions also enable widening of product portfolio as well as the customer base of the companies. – Thorough SWOT i.e. Strength, Weakness, Opportunities and Threat for individual company profiling is analyzed in order to present a detailed market opportunity assessment. • The report presents a macro and micro-level outlook regarding the industry. Thus, it becomes easy for our clients to perceive the business landscape and take a glimpse of their own standing in it. • Exceptional understanding of region and country-specific markets. The report will answer some of the toughest questions regarding the market shares, sizes, forecasts segmentations, and growth specific to the countries. KIRKLAND, Quebec, Aug. 31, 2018 (GLOBE NEWSWIRE) — Ortho Regenerative Technologies Inc. (CSE: ORTH) (“Ortho RTi” or the “Corporation”) announces that Benedek (Ben) Simo has been appointed Interim Chief Financial Officer, effective immediately. Mr. Simo succeeds Jo-Anne Piché who is leaving the Corporation to pursue other professional projects. Mr. Simo has over 15 years of experience in financial management with both private and public companies across a variety of sectors. Most recently, he was Manager, Financial Reporting at Resolute Forest Products, a NYSE- and TSX-listed global leader in the forest products industry with approximately US$3.5 billion in annual revenues. Prior to that, he served as Financial Controller at Synchronica Inc, an AIM- and TSX-Venture Exchange-listed developer of next-generation mobile messaging solutions that was acquired by Myriad Group AG in 2012. Previously, Mr. Simo held financial management positions at TouchTunes Interactive Networks, McCain Foods Limited and Ipex Group. Mr. Simo earned a bachelor’s degree in economics from McGill University, his MBA from Saint Mary’s University, and has obtained a CPA auditor, CA designation. Pune, India, Aug. 29, 2018 (GLOBE NEWSWIRE) — Market Research Future® has recently published its Premium Report on Global Sports Medicine Market which reveals that the sports medicine market is projected to grow at a promising CAGR of 8.9% during the forecast period of 2017 to 2023. Sports medicine is a necessary part of the sports and athletics sector due to its use in ensuring sportspeople and athletes are in the right physical condition to perform. The global sports medicine market is expected to reach an estimated USD 9,655.6 Mn by the end of 2023. Global and regional sporting & athletic events have become highly commonplace with thousands of individuals participating in some capacity or the other. Recreational sports are often part of most curriculums in schools where participation is highly encouraged. Injuries in the line of extensive physical activities are inevitable. The global population is at an all-time high, and as such, growing incidences of sports injuries have been recorded which has increased the demand for sports medicine. Moreover, in response to rising sports-related injuries, there has been a noticeable increase in the number of sports medicine associations, thus driving market growth. Increasing awareness with regards to sports medicine as a niche part of the healthcare sector and rapid technological advancements in the healthcare sector is expected to be some other important drivers of the market. High costs associated with sports medicine and unfavorable reimbursement policies are expected to hinder market growth. Lack of skilled professionals in sports medicine for the treatment of pediatric sports injuries is expected to pose a challenge to market growth. However, with growing awareness, the market represents untapped opportunities which are likely to expand the market, particularly in pediatric sports medicine in the coming years. MRFR has analyzed the competitive landscape of the global sports medicine market to reveal the various strategies employed by leading market players. Spreading awareness, the establishment of new sports medicine centers, and investments in research & development are some of the market strategies prominent players employ. Market players of note that have been included in the report are Smith & Nephew, Stryker, Medtronic, Zimmer Biomet, CONMED Corporation, Arthrex Inc., GE Healthcare, DePuy Synthes, and others. The U.S based BWHealth, a sports injury prevention and treatment organization has received investments of USD 600,000 toward the scaling of its newest line of injury prevention products. Stryker has acquired MITA LLC, a startup set up with the intention to offer a post free hip distraction system. The novel system carries great potential in sports medicine market. MRFR’s segmental analysis has been performed on the basis of product, application, procedure, end-user, and region. By product, the Sports Medicine Market is segmented to include joint reconstructive & repair products, accessories & consumables, support & recovery products and others. The joint reconstructive & repair products segment has been sub-segmented into ligament repair devices, implants, fracture, prosthetic devices, arthroscopy devices, and others. The support and recovery products segment has been further divided to include topical pain relief products, monitoring devices, thermal therapy devices, braces & support, monitoring devices, and others. By application, the market is divided into spine treatment, hip treatment, knee treatment, shoulder treatment, and others. By procedure, the market is categorized into tendon to bone, cartilage repair, and tendinosis. The tendinosis segment accounts for over half of the total market share. Tendinosis is chronic in nature and afflicts tendons which experience continuous stress over time which is highly common is sportspeople and athletes who carry the same sporting activities for years on end. 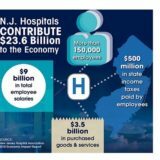 By end user, the market is segmented into ambulatory care, trauma centers, hospitals & emergency care and others. Globally, the market has been segmented region-wise into North America, Europe, Asia Pacific and the Middle East & Africa. North America, with its inclusion of the U.S, accounts for a market share of 39%, thus making it the most significant region in the global sports medicine market. Sports and athletics possess high importance in this region with sports like football and baseball being highly popular. Physical education and athletics are encouraged from a young age and children often participate in various sporting activities. As a result, there is an increasing number of sports medical centers being established in the region to treat the rising occurrences of sports injuries thus augmenting market growth. Meanwhile, the Asia Pacific is growing at the highest CAGR of 9.2% during the assessment period. The regions healthcare sector is witnessing swift growth, and awareness regarding sports injury and the growing importance of physical education has provided the sports medicine market with opportunities for growth. WARSAW, Ind., July 12, 2018 (GLOBE NEWSWIRE) — WishBone Medical, Inc. is pleased to announce that Sanford Kunkel, M.D. 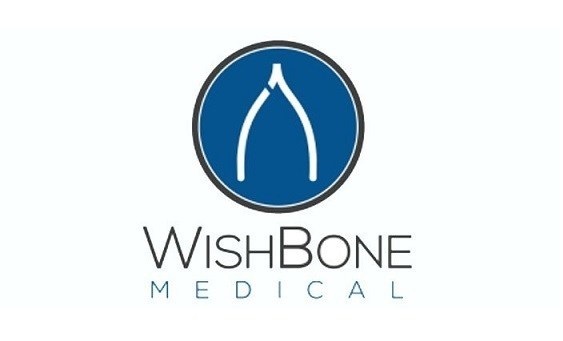 joins the WishBone Medical Board of Advisors. Dr. Kunkel has been a Consulting Surgeon for WishBone Medical helping to develop several new products and will continue in this role. As a member of the Board of Advisors, he will be a part of an elite group of business people from around the World to provide strategic expertise and guidance for WishBone Medical. He is considered an expert in his field and was a team physician for the Indiana Pacers, Indiana Fever, USA Basketball, Depauw University and Brebeuf Jesuit Preparatory school. He has been a practicing physician at OrthoIndy for over 30 years. OrthoIndy is one of the largest orthopedic practices in the world. 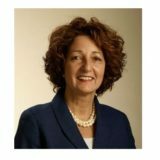 Dr. Kunkel consults for several healthcare companies and has developed several successful products. Dr. Kunkel earned his Bachelor’s Degree from Indiana University and his Medical Degree from the Indiana University School of Medicine. He did his Internship at St. Mary’s Hospital in Grand Rapids, MI. and his Residency at Grand Rapids Orthopedic Surgery and Blodgett Memorial Medical Center. His fellowship was in Sports Medicine at the University of Toronto and at the University of Western Ontario in London, Ontario. He is certified by the American Board of Orthopaedics. NEW YORK, July 9, 2018 /PRNewswire-USNewswire/ — Researchers at Hospital for Special Surgery in New York City are launching a new study to identify inflammatory molecules that might help improve treatment of people with certain knee injuries. The goals of the study, which is now enrolling patients, is to find biomarkers correlated with the development of osteoarthritis of the joint after surgery to fix traumatic tears of the meniscus. This horseshoe-shaped layer of cartilage cushions the bones of the knee during weight-bearing activities like running and jumping. More than one million Americans annually undergo meniscal surgery, making it among the most common orthopedic procedures performed in the United States. The injuries generally occur in young athletes who experience violent trauma to the knee, although older people can suffer them without such trauma, as well. However, patients who undergo the procedure often develop osteoarthritis of the joint—a painful, degenerative condition that to date has no cure or particularly effective treatment. The HSS study will have several components. Drs. Altchek, Mendias and their colleagues will take samples of synovial fluid–a viscous substance that lubricates joints–from 28 patients (14 men and 14 women) aged 18 to 45 undergoing a procedure called partial meniscectomy in which surgeons shave away frayed pieces of the cartilage. Those samples will be screened for the presence of proteins associated with inflammation, molecules such as interleukin 1 beta, which is known to play a role in osteoarthritis, as well as other previously unidentified substances. The researchers also will use an advanced form of magnetic resonance imaging to track meniscal healing over time, and will match that information with the biomarker activity to look for patterns of protein activity that predict either successful healing or poor outcomes. “This whole idea of precision medicine is just kind of catching on in orthopedics now,” Dr. Mendias said. Ideally, a biomarker panel could help surgeons determine which patients will be most likely to benefit from particular meniscal procedures, and what kind of rehabilitation–and even prehabilitation–routine they should undergo. “It could also help us identify therapies to block those inflammatory molecules and reduce the risks of osteoarthritis later in life,” he said. “The hypothesis is that there is a degenerative effect afterward, as a result of the injury or the surgery, or both—and that biologic therapy might slow that down,” Dr. Altchek said. He added that there is “a tremendous amount of excitement” in the field of orthopedics about new biologic therapies, including platelet rich plasma and stem cells, that are now being used to treat tendon injuries and certain other ailments. Whether they might work to treat or even prevent the development of osteoarthritis after knee surgery is unclear. “This project is an important step in the direction” of answering that question, he said. Scott A. Rodeo, MD, sports medicine surgeon, co-chief emeritus of HSS Sports Medicine, and co-director of the Tissue Engineering, Regeneration, and Repair Program, will be contributing patients to the study. Other HSS physicians involved include HSS sports medicine surgeons Answorth A. Allen, MD, New York Knicks team physician; and Riley J. Williams III, MD, medical director of the Brooklyn Nets. If you have a meniscus tear and are interested in the study, or would like to serve as a healthy control subject, please contact Daniel Edon (edond@hss.edu). HSS is the world’s leading academic medical center focused on musculoskeletal health. At its core is Hospital for Special Surgery, nationally ranked No. 1 in orthopedics (for the eighth consecutive year) and No. 3 in rheumatology by U.S. News & World Report (2017-2018). Founded in 1863, the Hospital has one of the lowest infection rates in the country and was the first in New York State to receive Magnet Recognition for Excellence in Nursing Service from the American Nurses Credentialing Center four consecutive times. An affiliate of Weill Cornell Medical College, HSS has a main campus in New York City and facilities in New Jersey, Connecticut and in the Long Island and Westchester County regions of New York State. In 2017 HSS provided care to 135,000 patients from 80 countries and performed more than 32,000 surgical procedures. In addition to patient care, HSS leads the field in research, innovation and education. The HSS Research Institute comprises 20 laboratories and 300 staff members focused on leading the advancement of musculoskeletal health through prevention of degeneration, tissue repair and tissue regeneration. The HSS Innovation Institute was formed in 2015 to realize the potential of new drugs, therapeutics and devices; the global standard total knee replacement was developed at HSS in 1969, and in 2017 HSS made 130 invention submissions (more than 2x the submissions in 2015). The HSS Education Institute provides continuing medical curriculum to more than 22.000 subscribing musculoskeletal healthcare professionals in 125 countries. Through HSS Global, the institution is collaborating with medical centers worldwide to advance the quality and value of care and to make world-class HSS care more accessible to more people.